Eibar will be looking to rejoin the race for a place in European competitions when they host Rayo Vallecano at their Estadio Municipal de Ipurua. Los Armeros have been scoring goals for fun of late and they head into Wednesday’s football game following a 2-2 draw with Levante. The Basques are likely to stick to their attacking style of play and considering that Rayo are not regarded as good travelers, home win should be considered. Los Vallecanos, on the other hand, are determined to avoid the drop to Segunda Division, but seeing that they are on a four-game losing run on the road, we predict that the hosts are going to pick up all three points from the midweek fixture. When the two teams met in the Basque Country last term Eibar defeated Rayo Vallecano 1-0, but a lively contest is on the horizon this time out. Rayo Vallecano is a Spanish football club from the Valleas neighbourhood in Madrid and are founded in the year 1924. 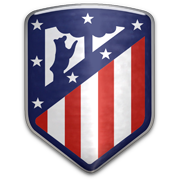 The club is playing in the Primera Division since 2011 after being in active in the lower divisions for a longer period of time. Rayo Vallecano currently plays it’s home games in the Teresa Rivero Stadium which is also known as the Nuevo Vallecas stadium and holds a capacity of 15 500 seats. The Nuevo Vallecas stadium is one of the smallest ones in the Primera Division. The club colors of Rayo Vallecano are white and red and is also known as Los Vallecanos. Rayo Vallecano is known for it’s ultra’s which are radical left winged political sided. In the clubs history Rayo Vallecano never won any big prizes. The biggest achievement was in 2000 when the club qualified for the UEFA Cup after winning the Fair Play spot. Rayo Vallecano was one of the biggest surprises in Europe that season and even managed to get to the quarter finals where Rayo got eliminated by Deportivo Alaves. There are a lot of famous players that played for Rayo Vallecano during their career such as: Julen Lopetegui, Jordi Figueras, Victor Onokpo and Ismael Urzaiz.